Costly Handyguy Mistakes: Primer. Use it or lose it. The Handyguys continue their new segment this week called Costly DIY Mistakes. These are mistakes are ones we have personally seen or have been asked about by our listeners. This weeks mistake is not using primer when painting. The Handyguys discuss when you need to prime and when you don’t. Also discussed are stain blocking primers. 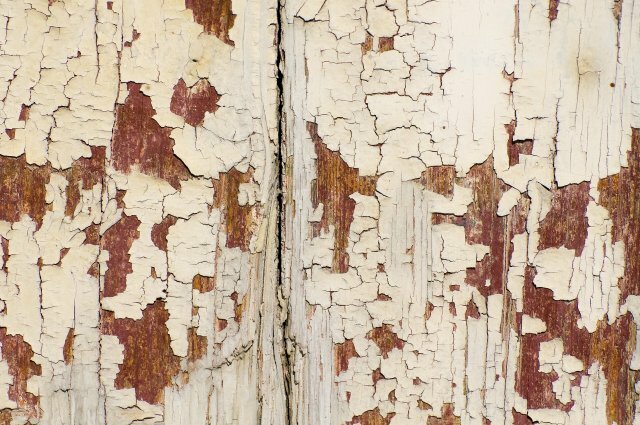 A primer will help your finish paint job last longer. Thanks for recommending your podcasts to me on Twitter. I’m just beginning a new basement finishing project and I’ve been enjoying your basement finishing podcast series. Great stuff! My question is about PEX tubing systems. I have to do some minor plumbing work as part of my project, including the relocation of one or two existing water supply lines that are currently in the way. I’ve been considering PEX systems as a replacement for some existing PVC supply lines because of its supposed flexibility and ease of installation. Are there any pitfalls or difficulties to watch out for when using PEX? To save on headroom, would it be acceptable to run the PEX tubing across joists in the ceiling utilizing knock-out holes in the joists? I only have to relocate one or two existing supply lines and build a handfull of new supply lines. Do you think my project is too small to invest in the specialized tools needed to install PEX? The Handyguys discuss the question. What is the solution to costly PEX tools? Use SharkBite.Â SharkBiteÂ® push-fit fittings are designed to simplify pipe installation. The fittings allow the user to connect pipe in seconds with relative ease. and listen to the podcast for the details. Paul installed a new light fixture that included a CFL light bulb with a new kind of base. I guess the “Edison Base” isn’t good enough for those in the government. These new bulb bases will become more common. The base is called a GU24 base. It is a standard on new Energy Star rated light fixtures. 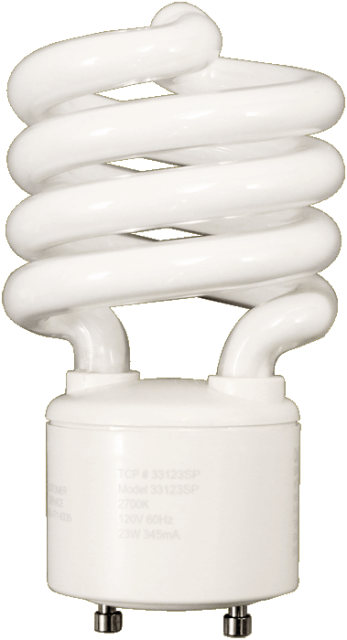 The purpose is to prevent you from using a standard incandescent bulb in a new fixture. Oh, and the home centers and hardware stores are not always stocking these bulbs. As Paul found out, they sell the fixture and not the bulb. Argh. The Handyguys have a solution. Get your GU24 base bulbs from The Handyguys store. PEX is fantastic stuff, especially for quick small jobs like the one mentioned above when you include the SharkBite connections. I’ve used them before about a two years ago and have not seen a single drip. My real reason for commenting is that I just hope that the ‘PVC’ Brian mentions needing to replace is actually CPVC! Dang – Did I say I was replacing PVC? I meant Polybutyl (PB). My plan currently is to replace it with copper or copper/pex combo. Also, to clarify, sharkbite fittings are for PEX, CPVC and copper only. Thanks Greg! projects. I’m still much in favor of keeping the light bulbs that we use currently. Yes, but you may not be able to splice a fitting into it where it was painted (Depends). What are you trying to do? Is there any paint or primer (must be flat black) that can be used on PEX tubing?? I am using it for solar water heating in a closed loop system thru an auto radiater (with fan) that sits in my garage. It heats (warms) my garage, then a blower forces that warm air to my sealed crawl space and helps heat the house. The same auto radiater is used in the summer using well water (not a closed loop) to cool my garage and then the water goes to drip lines to all of my shrubbery. Cool air is blown into the attic to help cool the house. Floyd – several companies make paint compatible with the pex. Rustoleum and Krylon are two that come to mind. I have also seen people use black electrical tape but that isn’t flat black. If you wanted to go cheap you could try some flat black house paint but that may flake off after a year. I have size tested my pex tubing to fit inside pvc fittings. I would like to pressure test this once I determine a way. If it works, I may use pex instead of pvc inside the pvc fittings. If I do this, what, if any, primer/glue should I use on the pex tubing? Traditional purple and red hot? The only reason to use pex is because I have some extra lying around. Otherwise it means a trip to the store for pvc. You cannot glue PEX tubing. 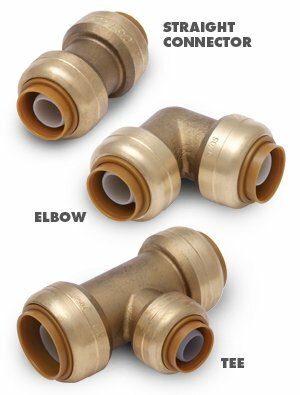 PEX uses compression type fittings. There are adapters to go from PEX to PVC (Glue to PVC and Compression to PEX). You could also possibly use “Sharkbite” type connectors to make the transition.